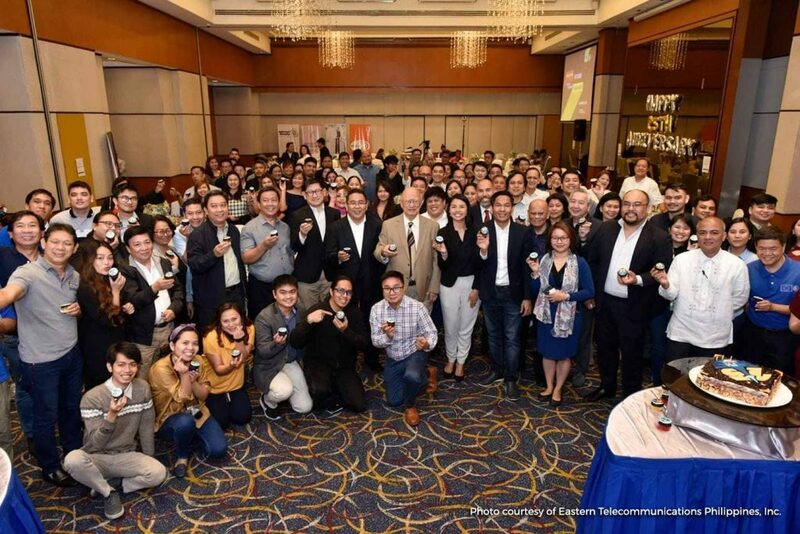 In celebration of the 25th anniversary of Internet in the Philippines, the Department of Information and Communications Technology (DICT), alongside other government institutions and industry stakeholders, expressed their commitment to further level up Internet experience for Filipinos in the next 25 years on Friday, 29 March, 2019. With the theme “Unlock the Paths of the Future: 25 years of Internet in the Philippines,” the culminating activity recalled the history of Internet in the Philippines. The event also highlighted significant developments, as well as challenges that the Information and Communications Technology (ICT) industry will face as the Internet continue to evolve. Adding to these, DICT Assistant Secretary for Infostructure Management and Special Concerns Alan A. Silor said that Internet access in the country will improve as we expect an upgrade and with the completion of government’s ICT projects. He also said that the entry of the new major player in the public telecommunications market would improve service quality, availability and affordability. “In parallel with the investment of the private telcos, the government has its role to reach the unserved and underserved areas so we have a lot of partnerships right now,” Silor said. A report from Tenzin Norbhu, Facebook’s Head Connectivity and Access Policy for Asia Pacific, indicated that the Philippines improved on the average mobile download and upload speeds. John Garrity, Chief Technical Advisor of the United Nations Development Programme (UNDP), expressed his support for the Pipol Konek or the Free Wi-Fi Internet Access in Public Places Project of the government. He emphasized the importance of Internet in achieving the majority of UNDP’s sustainable development goals and targets but also acknowledged the barriers that still persist resulting in a digital divide. “We are engaged because of the importance of closing digital divides to ensure economic and social benefits. That is why UNDP is honored to be partners with DICT in the roll out of Pipol Konek,” Garrity said. Philippine Internet pioneers Dr. Rodolfo Villarica, Fernando Contreras and Kelsey Hartigan Go were also present in the event. They paid tribute to the many people behind the success of the installation of Internet in the country 25 years ago. “It was not just us. There were a lot of people who have worked together,” Go added. “It is the golden age of coopetition in the ICT world. You’ve never seen different groups cooperating before,” he said, referring to the early days of Philippine Internet. By vanish, Dr. Marciano means to make the Internet accessible and affordable across all walks of life. “We should work together to make the Internet vanish. To blend into the background. People take it for granted. They know it’s there. They know it works for them. And when it’s gone, they will complain. But when that happens, when it vanished into the background, all of us know we have done our jobs,” Dr. Marciano added. Grace Mirandilla-Santos from the Better Broadband Alliance (BBA) agreed with Dr. Marciano that making the Internet “vanish” is a challenge in the ICT industry in the present. She specifically attributed these obstacles to the existing policies of the Philippine government. According to her, the Philippines is still using analog policies in the digital era. The government needs to amend policies to accommodate ICT changes and progresses in the digital era. “It’s also a good thing that the government is looking at this (policy reform) through the National Broadband Plan kung saan naka-lay down doon iyong mga plano ng gobyerno para iyong mga iba-ibang stakeholders, including industry players and civil societies, makatulong din para ma-push ang mga ito,” Mirandilla-Santos added.